Offering workshops for students to develop tools to overcome their own prejudices and help others unlearn prejudice...Working in our community to create more unity and less prejudice...learn more at the CCBB page. in a more tolerant light." For ANNOTATED READING LIST ON RACISM click on "MORE..." at the upper right in the menu bar and select "RESOURCES ON RACISM"
﻿THIS BOOK HAS GROWN out of my background as a youth with deeply held racist views who once yelled derogatory names at black citizens, one who grew up in a Southern family that believed in white superiority to blacks and then came to question and reject the myth of white supremacy. The book’s roots also lie in the five decades that followed as I learned to deal with the painful remnants of racism, some of which remain with me even today. It has also evolved from years of working to heal racism and prejudice, primarily through writing articles, producing radio programs, working with like-minded individuals to help others “unlearn prejudice,” and working with students. It may appear at first glance that this book is written for white people—especially white people who have some degree of racism. That is not the case. While it is the story of one white man’s struggle with racism, its discussion of the history of black-white relations in America offers insights to both white and black readers. In that it addresses the broader issue of prejudice, it is for people of all races and ethnic identities. Prejudice, which is probably part of the makeup of almost all members of every human society, can also exist between Democrats and Republicans, Protestants and Catholics, Jews and Arabs, homosexuals and heterosexuals, men and women, rich and poor, adults and youth. In that light, this book is about, and for, almost everyone. Part 1, “My Family History and Roots of My Racism,” provides the historical background for understanding our race relations today as well as the multi-generational, “almost hereditary,” racist influences that resulted in my own racist beliefs and behaviors. The first two chapters cover the history related to slavery, the Civil War, reconstruction in the South after the Civil War, and the Jim Crow era of segregation, oppression, and injustice imposed on the black population in the South following the abolition of slavery. The first chapter is unique in that it includes the personal experience of slavery with excerpts from the diaries of my great-great-grandmother, a slave owner, and quotes from interviews of former slaves. These two chapters, which may be painful to read, are meant to deepen the understanding of the forces that have contributed to the tension and conflict that still exists between the black and white races today. The remaining three chapters of Part I cover my experience of growing up in my birth family and how it affected me, including the ways in which racist views were passed down to me through the generations of my ancestors. In Part II, “My Personal Growth and Journey Out of Racism,” I share many of the experiences and influences which have contributed to my journey out of racism and my current work of helping others unlearn prejudice. Some of the experiences described relate directly to prejudice and racism. Others taught me about human behavior and helped me to become more self-aware, open-minded, and compassionate. In Part III, “Understanding and Healing Prejudice,” some of the causes and effects of racism and concrete steps that readers can take to overcome prejudice, both in themselves and society, are presented. In some respects, this is the most important section of the book. It provides a possible way out of the morass of racism as presented in Part I. It gives the reader options for positive action and personal growth. It offers hope. Part IV, “The Journey Continues,” covers one of the results of my journey out of racism, the co-founding of an organization to help others unlearn prejudice. An epilogue describes some reflections on my last visit to Mississippi. In the appendices are over one hundred questions, arranged by chapter titles and subtitles, for class discussions, book clubs, or individual reflection; articles I have written related to Martin Luther King; my philosophy of social action; and ideas regarding prejudice that I like to share with young people. 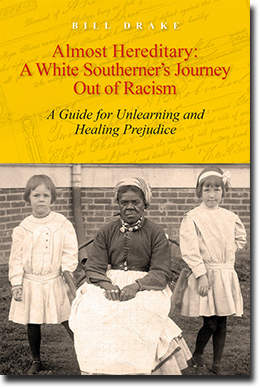 This website, http://www.healracism.com, offers the general reader, historians, teachers, and students an introduction to my family history; three hundred excerpts from interviews with former slaves, arranged by subject matter; and many entries from my great-great-grandmother’s diaries which are not found in Chapter 1. These questions are designed to help readers think, learn something about themselves, learn something about the experience of others, grow to be a more loving and balanced person, and/or feel inspired to work toward a more loving and just society. Questions can be addressed in a journal and/or a group discussion. 1. Do you know, or can you imagine, what prejudices your ancestors might have had? If so, what sorts of experiences or situations could have contributed to those prejudices? 2. Do you know, or can you imagine, if they were targets of prejudice? If so, what might they have experienced? 7. How might a hundred years of Black Codes and then Jim Crow laws have affected the views of blacks and whites about themselves and others today? 8. How might the system of segregation have contributed to perpetuating false myths about black people? 19. What prejudices, past or present, have you noticed within yourself? Have you questioned them? If so, what experiences have influenced you to question them? 24. Have you experienced prejudice from others? If so, how has that affected you? 25. What groups of people might you be prejudiced toward? If you can, explain why. 26. How does prejudice hurt the target of prejudice? 27. How does prejudice or racism hurt the person who is prejudiced or has racist beliefs? 30. Have you had prejudices that you were taught to have by others? If so, what are they? Do you still believe what you were taught? If not, what caused you to change your beliefs? Do you ever notice yourself acting as if you still believe them? If so, explain. 34. Give examples you have seen (including examples related to political and business leaders, books, television programs, movies, advertisements, etc.) which might encourage the view that white people should have more value than people of other races. How might these affect nonwhites? Whites? 38. How is stereotyping harmful? 51. If we want to heal racism and prejudice in our communities and society, why is it important to start with ourselves? 52. Have you had experiences that have helped you overcome or diminish prejudices in yourself? If so, what were they and how did they affect you? 59. Describe a story you believed about someone that kept you from liking or loving them. 79. What could you do to learn more about people with cultures different from yours? 87. Have you ever had a prejudice change as a result of getting to know someone against whom you were prejudiced? If so, give an example. 89. If you are white, list examples of situations in which your being white has given you an advantage over nonwhites. 90. Describe situations, if any, in which you have been disadvantaged due to your race, religion, beliefs, cultural identity, sexual identity, or your appearance to others. 93. What do you think Martin Luther King meant when he advocated focusing on opposing injustice, not a person or people perpetrating the injustice? 96. Do you tend to seek out things to read or listen to that support your point of view rather than challenge it? If so, what sources do you rely on that reinforce your point of view? What sources might you expose yourself to that would help you also understand the opposite view? 99. Why is how we communicate with those we oppose important? 100. Why is it important to understand one’s motives for doing social justice work and/or helping others to unlearn prejudice? 101. Have you ever observed situations where bullying or prejudicial treatment was happening? How did you feel? Were you able to support the person or people being targeted? What might you have done differently? 104. In what ways can small steps to create social change have a big effect over time? BILL DRAKE'S great-great-grandparents owned slave plantations in Mississippi. His great-grandfather commanded a regiment under Confederate Gen. Robert E. Lee during the Civil War. After the war, as a Mississippi state senator, he helped lay the foundation for the Jim Crow era, during which Southern blacks experienced systematic oppression for almost a century. Drake grew up believing in the racial superiority of white people, and as a teenager he harassed black people. During his seventeenth year he had an experience that caused his racist beliefs to unravel. 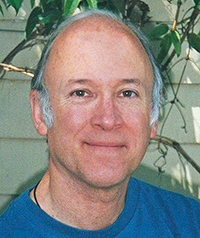 In his adult years he has written articles and produced radio programs supporting racial equality. He and two colleagues founded Creating Communities Beyond Bias and lead workshops that help students unlearn prejudice.